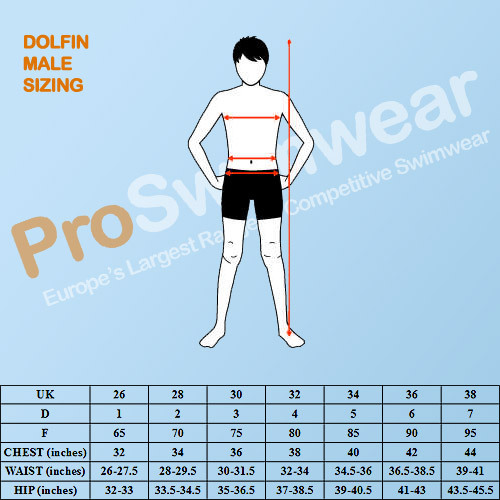 Feel confident in these new Dolfin Mens XtraSleek Eco Denali Spliced Jammers ideal for swim training! These solid black jammers feature an abstract blue print spliced down the legs which is striking and polished. The Xtra Life Lycra® chlorine resistant fabric offers the swim shorts great shape and colour retention meaning they'll look and feel like new for longer. The rest of the suits material makeup comes from 100% recycled nylon which is produced in an environmentally friendly manner to traditional nylon while still providing the excellent durability and flexibility of freshy made nylon. Dolfin swimwear is loved by swimmers around the world for its excellent lifespan, comfort and interesting designs. The XtraSleek Eco range typifies this with some new abstract and stylish designs. To ensure your Dolfin jammers last for longer make sure you rinse with fresh, cold water and follow the care instructions provided. These solid black jammers feature an striking red, white and blue print spliced down the legs which is striking and polished. The Xtra Life Lycra® chlorine resistant fabric offers the swim shorts great shape and colour retention meaning they'll look and feel like new for longer. The rest of the suits material make-up comes from 100% recycled nylon which is produced in an environmentally friendly manner to traditional nylon while still providing the excellent durability and flexibility of freshy made nylon. Mens jammers from the stunning and durable XtraSleek Eco range. High definition striking red, white and blue print spliced down the legs of a solid black swim short. Chlorine resistant material ensures the suit keeps its colour and shape. Utilizes Xtra Life Lycra® for a soft silk-like feel on your skin. The durable nylon component is made from 100% recycled nylon for a more environmentally friendly pair of swim shorts.